Have you found an online vendor selling Pyrat XO Reserve? 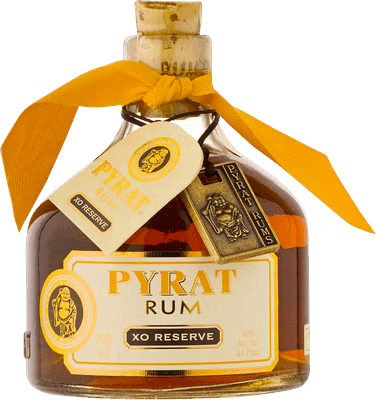 Pyrat XO Rum is produced from nine different Caribbean rums that are blended and then aged up to 15 years in used American sweet oak barrels. The squat Pyrat XO rum bottle shape is inspired by the typical design of rum bottles kept by pirates and ship captains in the 19th century. I'd heard the buzz, and was eager to give it a try for myself. On first pour, I hardly picked up any citrus notes (it had been store in the fridge). It was rather harsh, slightly bitter, but really not that bad. As it warmed, the citrus came out in full force. But it wasn't terrible, and not exactly what I'd call "artificial," either. It just smells like mid-range rum with some orange (maybe with a touch of lemon) essential oil added in, and some sugar. Maybe it's soaked with citrus rind at some point (hence the bitterness), maybe it's artificial flavoring, who knows. At the end of the day, this is far from the worst rum out there—it's really not that bad. As a sipper, it's not very good, but as a mixer I think it would be fantastic (if overpriced). Daiquiris, Mai Tais (along with a good, strong Jamaican), Nui Nuis all could be made deliciously with this stuff. That said, there are plenty of better rums out there. The Pyrat is kind of an intricate treat to enjoy. I opened the bottle, poured it in the tumbler and smelled it. What the....!? What's this tang? Is this alcohol fuel? Nonetheless I sipped it. Ohhhhh dear! How did the cleanser wind up in this awesome rum bottle!? So I left the tumbler alone, read the reviews and couldn't stop wondering about the extremely dissenting opinions. Some say it's god's gift to man, others say they wouldn't feed this dog's piss to their worst enemy. I'm careful with 1 pointers as there's always the possibility of stumbling across the liquid spawn of hell, but I dead sure was ready to dish out my first 2 point review. On the other hand the very good reviews intrigued me enough to give it time and to let it breathe. After 30 minutes: 2 out of 10. Very sharp smell, very one-dimensional taste. After 1 hour: What's this? Is there actual taste under the layer of kerosene? 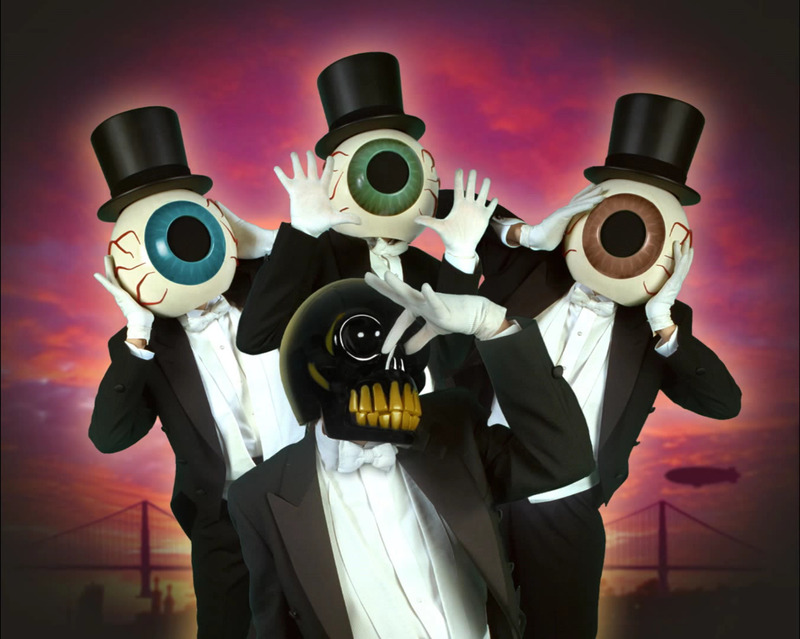 We are getting somewhere: 5/10. After 2 hours: BAMM! There it is! Cinnamon, vanilla, sherry and of course the dominant flavour of orange. The smell is godly, as is the taste that follows. Rich, mellow, well balanced. I could taste all the flavours I smelled before. This rum is really excellent, as long as you give it time to breath and evolve from terrible to bearable to impeccable. I sipped it as seen on the picture. Straight up, no ice, handwarm. For the price the Pyrat XO is a steal. So many people like this one , so i have buyed it. But i never had a disgusting like this one. No joke , my wife has a Cleanser - it´s the same smell as the Pyrat XO. Sorry , I hate it. Very very good taste, almost buttery on the tongue, but has a little bit of a bite to it. If it was a little smoother this could be my favorite. Edit: After drinking this for awhile now it has become my favorite sipping rum. It has just such a good flavor and no after taste. There's a reason why this so called rum comes in such a nice bottle and such nice box that looks like a book with all kinds of ribbons and stuff, because if it wasn't for that I don't think anyone would buy this crap. Awful taste. Not good at all in my opinion. Fake orange flavor added to cheap, boozy low-end rum. The drink of choice for careless swillers. Drown it with mixers because you must, but don't pretend you're drinking fine rum. It's no better than orange-flavored vodka. Wretched stuff. I hate to be insulting, because truthfully if it makes you happy, who am I to say it's bad. But to me, the false additive flavors of every Pyrat product insults the beauty and good name of Rum. I am not sure how this rum is made, but it seems very forced. The aroma is artificial orange, the taste is very orange/chemical. There is some sweetness, maybe trying for some vanilla, but mostly orange followed by a light burn. Not a good sipping drink and I don't know what it would mix in without drowning out the flavors. If you tend a bit towards the sweeter side, but reject things like Zaya or Ron Zacapa, Pyrat XO is for you. It's sweet, but only a bit. What's more striking are the strong vanilla and somewhat less intense orange flavors. Both make for an enjoyable sipping rum. Orange. It smells orange, taste orange... Very provocative and cocky. I can't say I enjoyed it as it was difficult to empty the glass, but it's kind of interesting still. I wouldn't buy a whole bottle, even for the shock value when having a rum loving friend over, but I'm glad I tasted it. Sadly I don't remember any other flavors then orange since this dominated both nose and palate. Not of my liking. For me it is just an awful spicy orange rum. Not very well balanced. The orange taste is to predominant and artificial in my opinion, I was expecting much more from this one. This is rum made by a tequila company, and it comes out like cognac... I don't understand, and unfortunately don't enjoy it. This smells, tastes, and behaves almost exactly like Grand Marnier, but with less sugar and more alcohol bite. I'm alternating between 4 and 5 on this. It has been said many times already. This tastes like orange. So much so, I simply cannot believe it wasn't artificially added afterwards. Seeing as it's rum we are talking about - and everything is allowed in the world of rum - that's not at all unthinkable. So, if you like Grand Marnier you'll like this rum, but you are probably better off drinking Grand Marnier. Smagen er sprittet med alt alt for meget appelsin. Eftersmagen er kedelig og kun appelsin. This one is really nice and has some orange taste! Is really good on the rocks. The Gentleman Stumbler blog has a really funny review of this rum. It's so ubiquitous I bought a bottle just to see for myself, and sorta regret it. Probably best with cola, but I don't drink cola, except maybe organic cola from Trader Joe's! But I appreciate the Hoti mystique, and the flash website is really cool. It beats the bottom shelf swill out there by a couple of points, but the money is better spent elsewhere. You're paying for the packaging. This is my father favorite rum from my collection. Nice gold color, beautiful aroma, lovely finish.. This is my family's rum of choice for rum and cokes on pizza nights. Makes a great dark and stormy. Enough rum taste to shine through most mixes--good taste and smooth enough as a sipper or for a warmer upper during camping trips. For me this is absolutely awfull. Not well balanced at all. Too much orange and fake sugar for me. This is pretty much syrup with Orange in my opinion. If you like A.H Riise you will probably enjoy this, but its not for me. "Had wine not been the drink of choice 2,000 or so years ago, Jesus would have probably turned every drop of water on earth into Pyrat Rum XO Reserve"
"it’s like an orange Chuck Norris came through the joint, belted out a roundhouse kick to the face..."